I used the pattern “Oh Buoy!” by Elizabeth Tisinger Beese featured in a supplement to American Patchwork & Quilting magazine, August 2014 issue. 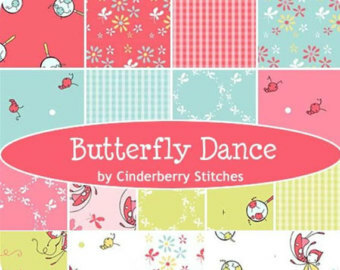 It was a pretty easy pattern to follow, perfect for me since I had just a couple of weeks to start and finish the quilt. I was very happy with how it turned out! 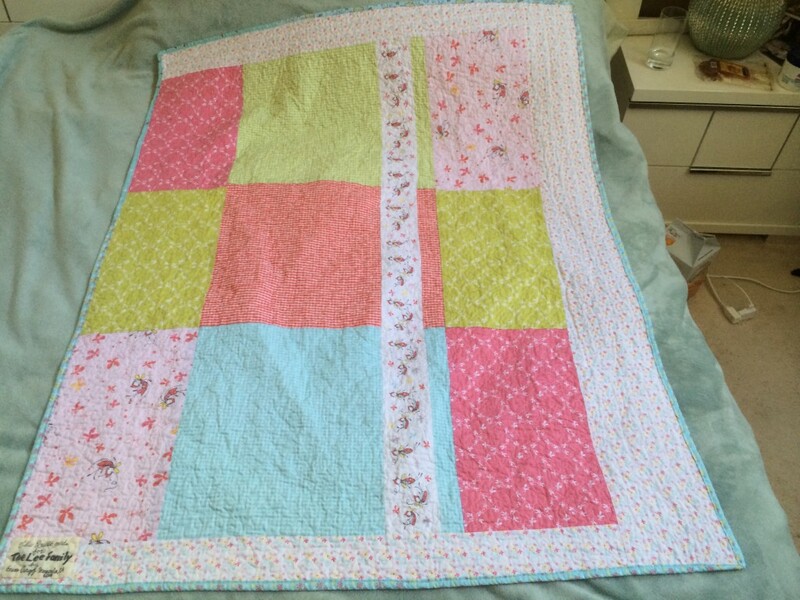 I used almost the entire bundle on this quilt, using any fat quarters I didn’t cut into for the front, on the back. I also cut into the fat quarters for the binding. I think there are a couple more green fat quarters in my stash that didn’t fit in this one, and I bought way too much of the white fabric, but it will be a nice addition to my stash. This was my first time doing free motion quilting on a quilt of this scale and I was very happy with how it turned out. 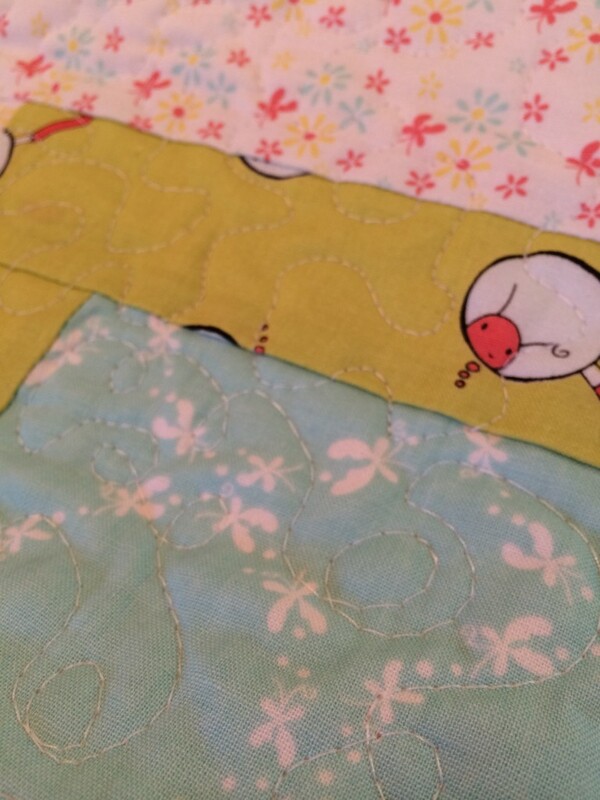 I used a lot more thread than I usually do, and I hit a few snags, but overall I felt that the quilting process moved much more quickly using FMQ. I did some loop-de-loops in the main pattern area and did a simple stipple pattern on the border. 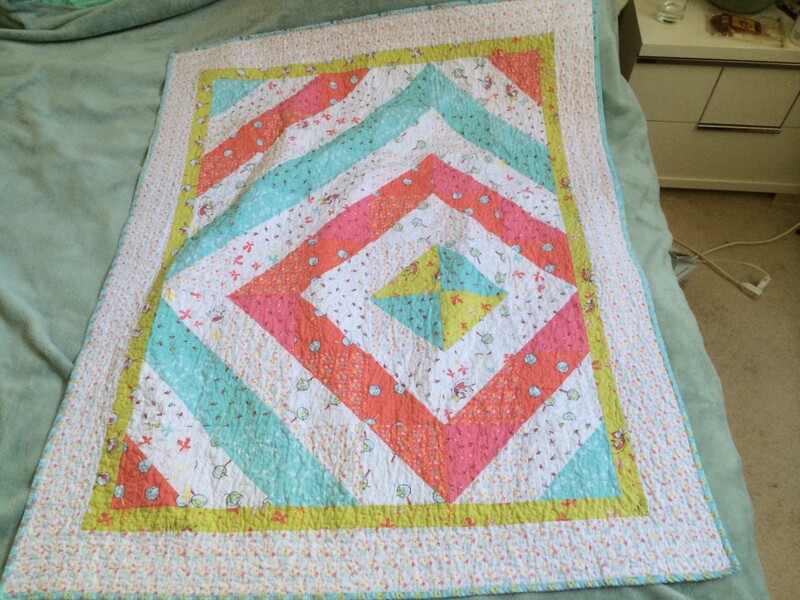 I forgot to measure the finished product, but it was just about the size of a crib quilt batting, 46.76″x58.5″ was the finish size on the pattern. 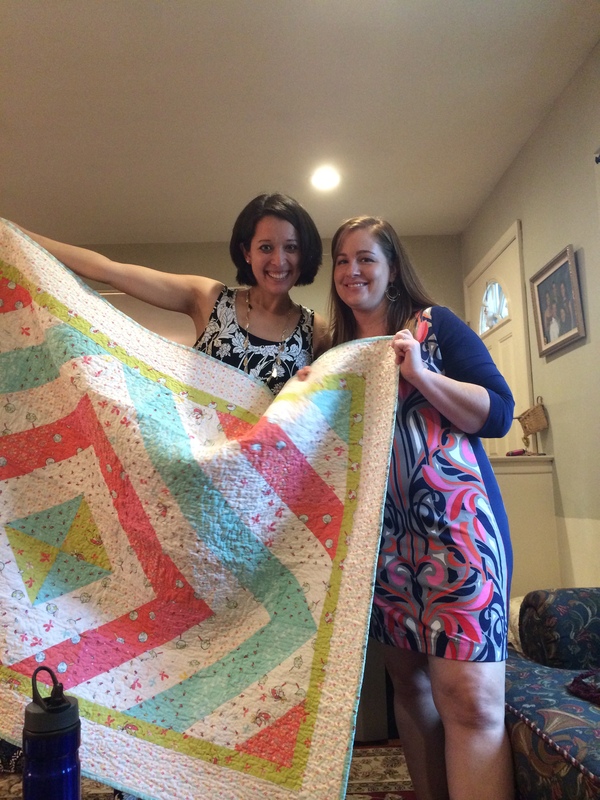 I was so happy to be able to travel to Long Island and deliver this baby quilt in person! I really enjoyed this quilt and I’m LOVING FMQ! Hope you like it!